Dr. Wickrema Weerasooria, fondly known as Wickrema, was first my guru, mentor and role-model but later became a fan of mine, admiring my work immensely. That was a rare display of humbleness which only a good teacher would extend toward his students. Wickrema belonged to this rare category. My association with Wickrema dates back to late 1960s when he began to teach law in Sinhala medium at the old Vidyodaya University where I was a student. This was a time when almost all had believed with conviction that a complicated discipline like law with more Latin than English cannot be taught in Sinhala or Tamil mediums. The Faculty of Law of the University of Colombo maintained this position until in 1971 when the then Minister of Education, Dr. Badiurdeen Mohamed, issued a direction to all the universities that they should start teaching all disciplines in Sinhala and Tamil mediums forthwith. 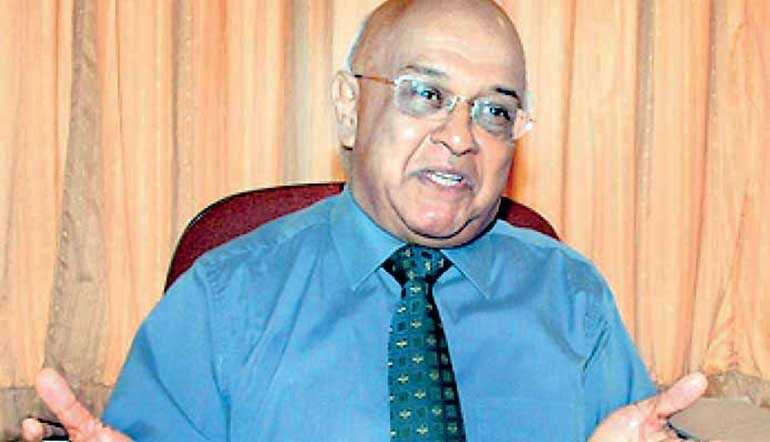 But Wickrema on the invitation of Vidyodaya’s Vice Chancellor, Rev Professor Walpola Rahula, had done so long time before by taking the challenge of teaching law subjects in Sinhala to its arts students. That was not an LLB degree proper. It included three law papers which arts students could offer as a subject for their BA degree. But, it was a worthy beginning. Then, he started teaching us in the management stream at Vidyodaya University commercial, administrative and constitutional laws again in Sinhala. To facilitate his teaching, he published two standard texts in Sinhala, one on Law of Contracts and the other on Commercial Law of Ceylon. I recall the youthful and vibrant Wickrema, who had at that time only an LLB degree with first class honours from the Law Faculty of the University of Ceylon and passed his Advocate again with a first class from the Ceylon Law College walking in to the lecture hall without any lecture notes or books but delivering his lectures for hours capturing our attention and enthusiasm in the subject. His witty statements in Sinhala for which he has been famous throughout his life aroused ripples of laughter among the students easing the pressure and stress of learning. It was really an act of trailblazing in the legal education in Sri Lanka which divorced law from its exclusivity and made it an inclusive subject. Then I met him again in early 1970s at the Academic Branch of the University of Colombo where I was handling postgraduate registrations and Wickrema was a doctoral candidate in law. He had been given direct admission to PhD without having to complete an LLM because of the first class honours LLB degree he had obtained. He was to write his thesis on banking law, more specifically, the history of law of banking in Ceylon with special reference to Natukottai Chettiar Merchant Bankers. In the early stage of Ceylon’s British period, it was these Chettiars who had been the forerunner of commercial banking in the country by importing specie or coins from India and facilitating the fledgling trade and commerce in the colony by discounting bills and extending credit. To my knowledge, there are only two scholars who had dug into the work of Chettiars as bankers. One was Professor H.A. de S. Gunasekara who submitted a doctoral thesis on ‘From Dependent Currency to Central Banking in Ceylon’ to the University of London. His work was more concerned with economics. The other was Wickrema who examined both banking and legal aspects of the work of Chettiars. Wickrema completed the thesis but he could not submit it to the University of Colombo which had some internal problems in the Faculty at that time. Hence, he chose to seek his doctorate from the University of London. He was duly awarded PhD by that prestigious university. Thus, Wickrema, an authority on general law, was married to one of its sub branches, namely, banking, administrative and commercial laws as well. After the change in the government in July 1977, Wickrema became the Secretary to the Ministry of Plan Implementation in the new government. He made several new contributions to the country in this capacity. The establishment of the development lottery system, intensification of the national family planning scheme, development of minor agricultural crops for the export market and alignment of the Treasury’s public investment programme with the regional level mechanism of plan implementation are some of such contributions worthwhile being noted. Then, he had a stint as Sri Lanka’s High Commissioner in Australia and an Associate Professor of Law at Monash University. Whilst at Monash, he completed a book on ‘Links between Sri Lanka and Australia: A Book about Sri Lankans (Ceylonese) in Australia’ in 1988. The book covers a wide range of topics relating to Sri Lanka’s links with Australia such as history, international relations, ethnic groups, cultural exchanges and influences, the Colombo Plan and Australia-Sri Lanka relations. It is a rare treatise on Sri Lanka’s statute law and judicial decisions on Buddhist temples and temporalities. It has been hailed as a ‘global first’ by Rajah Wanasundera, former Supreme Court Judge and as a ‘landmark and lasting contribution to Buddhist literature of the world’ by Ananda Guruge, Emeritus Dean of the University of the West in California, USA.